If you are looking for an affordable Android Nougat tablet, your search ends now. Alcatel has launched its new A3 10 tablet in India. The Alcatel A3 10 was unveiled quietly on the official website of Alcatel India. As you might have guessed the Alcatel A3 10 tablet features a 10.1inch HD resolution display. Since this is a large tablet you might be happy to know that you can enjoy your media with the help of its Arkamys dual speaker setup. The Alcatel A3 10 runs Android Nougat whose highlight is the split screen functionality which means you can use the tablet for multi-tasking. The Alcatel A3 10 runs Android Nougat with the help of a MediaTek MT8735 chipset that houses a 1.1GHz quad-core ARM Cortex A53 CPU, Mali T-720 GPU and 2GB of RAM. The internal memory of the Alcatel A3 10 stands at 16GB out of which 12GB remains vacant for the user. You can use microSD cards of up to 128GB to expand the storage. 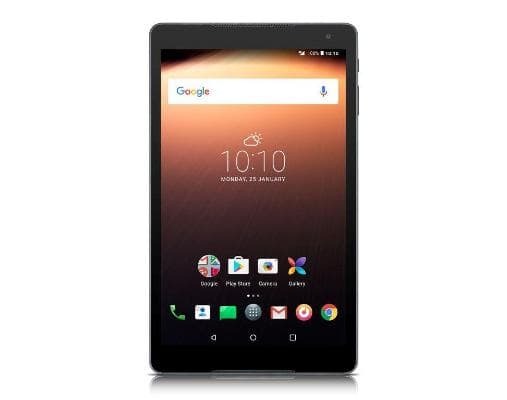 The Alcatel A3 10 is also one of the few cheap Android tablets to feature LTE connectivity. The other connectivity options supported by the Alcatel A3 10 are Wi-Fi, microUSB and Bluetooth 4.2. The Alcatel A3 10 has a 5MP camera on the rear and a 2MP camera on the front. The Alcatel A3 10 is powered by a 4600mAh battery that is claimed to last for 1300 hours on standby and 22 hours of talk time. Sadly the Alcatel A3 10’s huge battery does not support quick charge which means it takes up to 6 hours to charge fully. The Alcatel A3 10 measures 260 x 155 x 8.95mm and weighs 465grams.